Cameron Dallas has just released a new song - Why Haven’t I Met You? - that we think you’ll like! Check out the video below (or listen to the song here). Musician, entrepreneur and influencer Cameron Dallas catapulted into fame quickly with viral vine videos that have since won over the hearts of millions across the globe. More than just a “digital celebrity,” Cameron has a fan base of nearly 50 million followers across 5 different social media platforms. His global appeal continues to be showcased as he travels the world for fashion campaigns with brands such as Dolce and Gabbana, Calvin Klein, and Carolina Herrera. In 2017, Cameron was named to Forbes’ 30 under 30 list and also received the People’s Choice Award for Favorite Social Media Star. He is currently at work on his debut album for Columbia Records. Luca recently discovered the incredibly talented singer, songwriter and author Bathsheba. A child of the foster care system, she uses her talent to advocate for children lost in the system. Born in Indiana, the beautiful Bathsheba Nichole Adams entered the foster care system at the age of 5 and was raised as an adopted child. As a young girl, she was an excellent student and a natural athlete earning her a full ride scholarship in track and field to University of Indiana. Although she graduated with a degree in Law Enforcement, she felt a pull to share her experiences in foster care with others through her talents. Bathsheba has done just that in mentoring, motivational speaking, music and writing about the foster care system. Her first book titled, Eyes Like Mine, depicts her personal struggles and challenges with the system. The book's title also shares the name of an organization founded by Bathsheba called the Eyes Like Mine Foundation, a non-for profit organization that is committed to ensuring all foster youth impacted by the foster care system have safe, healthy, and nurturing lives. Bathsheba explains, "Eyes Like Mine Foundation uses the proper resources to be an outlet and support system for foster and adopted children who feel invisible, alone, or helpless and need nurturing, guidance, and support. Whether it's toiletries, clothes, food, job placements, toys, mentoring, counseling, and much more, but most of all it's Love." Her first musical venture, the album Out Of The Fire, provides an outlet for Bathsheba's early hurdles. Her music has an inviting combination of R&B, dance, neo soul dub-step, and hip-hop vibes and is layered with powerful lyrics. Deeply personal, the ten track album is both raw and inspirational. Ultimately, Bathsheba's goal is to continuously collaborate on projects with those who share the drive to help people while crossing all boundaries with no exception to age, class, religion, gender, sexual orientation, education, and culture. Passionate about inspiring people from all elements of life through sharing her own experiences, the multi-talented up-and-comer has aspirations to write a screenplay and maybe one day direct on the big screen. Keep an eye on Bathsheba...she's only just beginning! 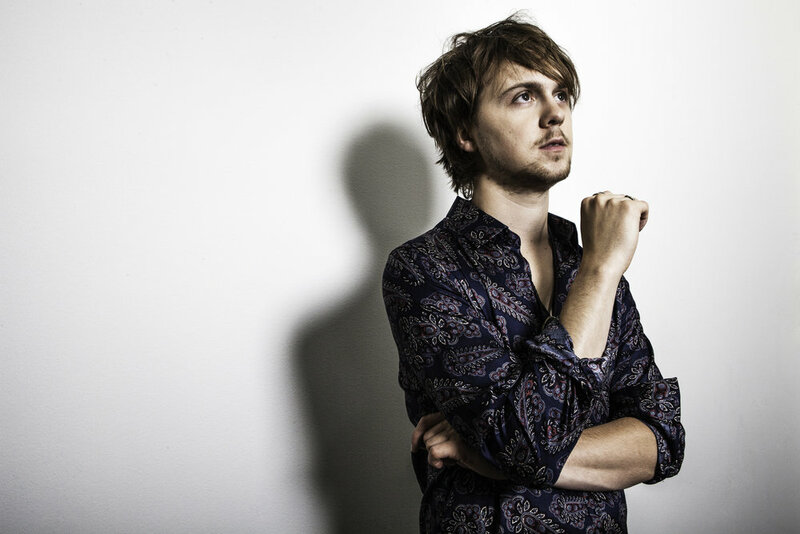 An L.A. native and lover of good pancakes, Ellington Ratliff is most known for being the drummer in the pop rock band, R5. With more than 25 million fans, R5 has performed all over the world alongside bands such as The Chainsmokers, Panic! At The Disco, and Weezer. However, Ellington’s career began long before R5 was formed in 2009. Having descended from a family filled with successful entertainers whose own careers span the likes of film, television, and Broadway, he had his first audition at three months old. The accomplished dancer, actor, and musician describes himself as one who practically came dancing out of the womb. Having collected various film and television credits throughout his youth, Ellington's passion eventually led him to music. As a man whose heart and soul bleeds music it’s quite befitting that Ellington Ratliff was named for one of the most famed jazz musicians of all time: Duke Ellington. We asked him how he felt about his name: "I like being named after a Jazz Great. It's a lot to live up to, but at the same time, about every third Starbucks I order on average, I get an ‘Ooo I love that name’. So that’s nice as well." 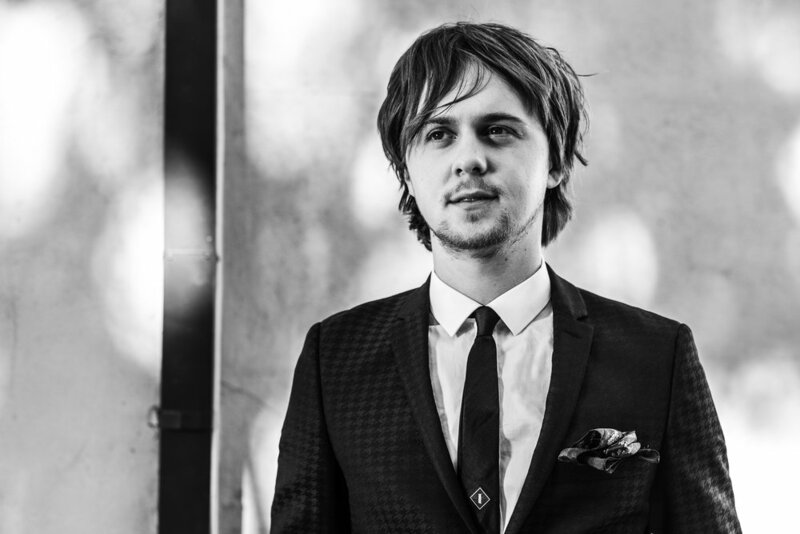 It was in middle school Ellington discovered his knack for music. “Oddly enough I started on trombone. You could start playing in the school band in 4th grade and I wanted to play the drums. We were friends with the band teacher and he discouraged me from choosing drums, saying it was very boring in the beginning and that I should choose something else and then switch to drums after a couple years. I remembered watching some dude slay the trombone at some event my parents took me to, so that inspired the choice.” Although he is R5’s drummer, Ellington’s trombone skills never went to waste. On their last album, Sometime Last Night, Ellington shares, "I played trombone on the song “F.e.e.l.g.o.o.d” and with some tuning, it ended up sounding dope." ...Read the full interview by picking up a digital copy of our Fall issue here! Recently, the Luca ladies had a chance to meet the very talented and incredibly dreamy Kenny Holland. This charming young singer/songwriter was in the midst of preparing for his upcoming nation-wide tour, but took some time with us to share about his passion for performing and writing music. LUCA: What made you start writing music? KH: I wrote my first song when I was twelve years old about a girl who I had a crush on. It was absolutely terrible, but I guess I've always written music to put my feelings and emotions into words; into a masterpiece. It helps me get my thoughts out. LUCA: How and where do you find your inspiration to write music? KH : I find all of my inspiration…in real-life experience. Anything that I've talked about in a song has happened to me in one way or another. My weakness for girls is a very big source of inspiration for me. I do like to write love songs because I appreciate romance and love. Definitely life, girls, and anything real that has ever happened to me is where I find inspiration. LUCA : What is your favorite part about what you do? KH: I have battled this question often as I chase my dream because your perspective changes and your goals shift due to certain circumstances. Right now, I love connecting with people and giving people a source of inspiration through the music I create. Other artists have inspired me through their music, and that is what I hope to do for others. LUCA: Who is your biggest musical influence? KH: Hands down John Mayer. I enjoy all sorts of music but John Mayer is my very favorite musician. LUCA: You are about to start your tour to promote your EP, Beginnings. How do you feel about touring? KH: Touring is amazing. It is a childhood dream of mine, so the fact that I get to do it right now is absolutely insane. 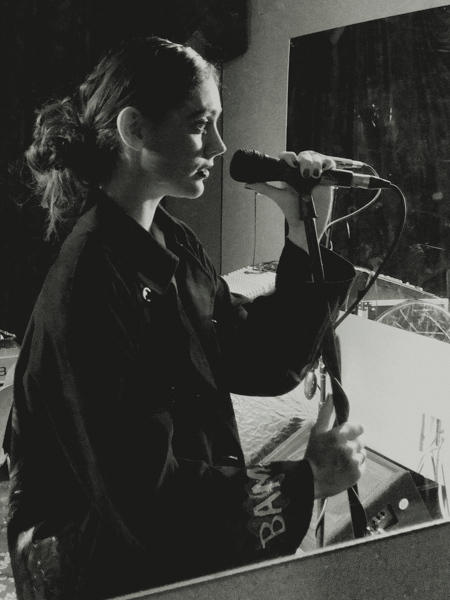 My favorite thing to do in the world is sing a song on stage for an audience and for the audience to know the words. IT IS THE COOLEST FEELING ON EARTH. However, touring is not always easy because a lot of times you are just getting by with food and transportation. You crash on couches or sleep on floors just to get to the next city; you're almost kind of homeless for an extended period of time, but it is all worth it. LUCA: What's your top 10 playlist for music right now, and for all time? KH: Right now, I’m listening to the Weekend, who just dropped a new album. I’m listening to Frank Ocean’s album a ton – I didn’t listen to it when it first came out, but I’m listening to it a lot right now. One Republic’s new album. Those are the three huge albums from the last year that kind of stuck with me. As for my all-time playlist, I would pick John Mayer, Red Hot Chili Peppers, All-Time Low, Mayday Parade, the Beatles, and a few more. I just love music, I love all music. LUCA: What is the most important thing you've learned on our journey as a singer/songwriter? KH: The most important thing I’ve learned on my journey is simple: the key to life is love. Once you’re in a place where you can find a genuine love for everything and everyone, then you can really reach your full potential and be your best self. I wasn’t born that way – I wasn’t born with that attitude. It was taught to me through my experience as a musician because in the creative process, you are relating to other people and you truly have to put yourself in other people’s shoes. It puts you in this place of zero judgement, and once you find that peace within yourself, with others, with everything around you and find genuine gratitude for it, I believe that is when you’re at your true center and your true full potential. That’s what I really want as a musician and it has been quite a process, but I’m incredibly grateful for it. All you need is love. LUCA: Where do you see yourself at the end of this year? KH: At one point or another I might have said, I’d like to see myself playing Madison Square Garden or reaching for these high goals that are unattainable, but in my life right now it's important to be happy and just be myself. So now I see myself continuing to live this way, which is happy and positive and trying to attain greatness for others as opposed to myself. Music is a liquid. It continuously moves, slow and lurid, through my life at all points. Most of my memories I associate with music, or at least what was playing at the time during my biggest moments. There was Lauryn Hill during my graduation. D’Angelo accompanied my first few drives in a car. Fiona Apple was the soundtrack to my breakup. I grew up in sunny Arizona, always wishing I could be a part of the New York atmosphere. At 20 years old I moved by myself, after years of longing, and ended up among some of the best people that I call my friends. It has not been an easy journey. Becoming accustomed to the vibration and motion of the city is a challenge in itself. However, once you start getting the hang of it, there is no feeling that can compare. I have sung on the street in Harlem, made friends out of buskers on the A line subway, chatted with strangers on the sidewalk about Vonnegut and Buckley. After the release of my EP Fever Dream in November, I realized it was time to buckle down and create the show that I had been visualizing in my head for years. This is what I have been working towards lately: a shift in consciousness to elevate the quality of my performance. A dance between lighting, projection, drama, vocals, showmanship. When I stand on the stage and sing, it is the rawest thing that I can imagine doing. However I am feeling, that day my emotion is transported through me, out into the world. It is a release and a cleanse. Mixing this with the aspects of performance that I love so much about David Byrne, Grace Jones, and David Bowie, among others, is the perfect medium for me. I can only continue to better myself through this, singing my songs to anyone who will listen and let the music flow through me like honey. With her gorgeous voice, powerful songwriting talent and beautiful blue eyes for dayzzzz, Cailee Rae is positioned for great success in the music industry. The young singer/songwriter recently shared with Luca about herself, her inspirations and her hopes for the future. Luca: Incredible voice and all – was posting that first video of yourself (singing) difficult? Did you feel vulnerable or have any doubts? Cailee: Thank you! Of course. You want people to like what you put out, but after a while I realized I had to love what I performed as well. So I just made sure I loved what I recorded and did my best. Then I didn't really care what people thought because I loved it. L: Your fans adore you, but have you had any haters? If so, how have you dealt with them? C: I love my fans and I really try to only pay attention to them. Of course I see haters every now and then, but I just try to show them some love back. L: Who are your inspirations? C: Everyone and Everything. When I was younger it was definitely Taylor Swift, but at this point in my career, I love all kinds of music and artists for so many reasons. I'm always inspired by life and everyone in it. I am especially inspired by airports. I love seeing all the stories that unfold there: the joy, excitement and heartbreak. L: What does music mean to you? C: EVERYTHING. It makes me feel and understand. It makes me fearless. Music shows me so much. L: What's on your own playlist? C: My favorite song right now is “Figures” by Jessie Reyez. It's a super intense song, but so, so good. L: Luca is loving your EP - Overthinking. Songwriting seems to come naturally to you, but do you ever have writer's block? If so, how do you overcome it? C: Oh definitely. It just eventually comes to you. Most of the time it comes to you the second you give up. LOL. L: We've read that giving back is very important to you. What is your favorite charity? C: Charities mean so much to me; they always have. Growing up, my family made sure my sister and I were super involved with them. I'm actually an ambassador for Wish Upon A Teen, and I get to go to hospitals to sing for kids and hang out with them! L: You probably don't have much downtime, but when you do, what do you like to do? Also, what is your favorite/latest Netflix binge watch? C: When I have some free time, I love to hang with my hairless sphynx kitten named Dobby. He makes me laugh! Dobby has to be my spirit animal because he's weird and different, but he loves it and just has fun with life. And for Netflix...13 REASONS WHY!!!! Do I have to explain? L: Sometimes with fame, friends will change, but have your friends stuck with you on this journey? C: Yes and no. You make new friends as you go but some of my best friends have stuck by me no matter what. I love them all. L: What do you hope your music does for others? C: I hope my music makes them feel. Good, Sad, Peaceful... anything. L: What is your daily mantra? C: Write your own story. I have lived by that forever. To me, it just means making your own path no matter what people think or want you to do. L: What is your favorite feature about yourself? C: I love the fact that I never see the bad in people or things. It gets me hurt a lot but I always just give people my whole, real self without being scared about it. L: You recently released the single “Anchor”. The video for it looked like a messy blast to film. What's the best part of making a music video? C: EVERYTHING. I loved creating my music video for “Anchor” because I got to really be creative and just have fun. Watching something come to life is crazy! L: What advice do you have for young artists to make their dreams come true just as you have? C: I would tell anyone to always be who you are and love what you do. You will figure it out as you go but that's how you make your story. Cailee Rae has been on a fantastic adventure so far. She says that it's all been crazy and fun and that she has loved every aspect of it. She hopes the next part of her adventure is as wild and out of this world. In the future, Cailee would love to find herself sharing more music with everyone, including growing her CaiBae family! In the meantime, check out her YouTube channel here: http://bit.ly/CaileeRaeYouTube, her website here: http://bit.ly/CaileeRaeSite, and her Twitter or Instagram at @caileeraemusic. Jacob Whitesides is a YouTube singer turned star. He just released his single “Focus” this summer and “Lovesick” this year. His style is a mix of Ed Sheeran meets John Mayer. It is the kind of music you turn on when you want to put on a face mask and relax at home. But not only is his music chill, it is also honest and true. Jacob Whitesides has been known for using his fame in a positive way. He performed a free concert, Rock the Red Kettle, with stars like Becky G and Jacob Miller to support the Salvation Army during Christmas time last year. His unique style and down-to-earth personality has turned all of us over here at Luca into Whitesiders! You can find and download all of his music on iTunes or stream through Spotify. Tori's full name is Victoria Elizabeth Smith. She's 17 years old, and she was born in Mesa, Arizona. She's an exciting up and coming singer-songwriter with amazing talent and a huge heart. Our Editor-in-Chief, Celestial Williams, sat down with Tori to find out what she's really like, what her dreams are, and what her music is all about. TS: Acoustic, indie, positive, relatable, and genuine. I’ll never write about an emotion I haven’t ever really felt. Luca: What CD do you have in your radio right now? TS: That would be my guilty pleasure, Taylor Swift’s first album. Luca: If you could open up for any artist right now who would it be? TS: Kina Grannis. She’s not super famous, but her following is very genuine, and it would make for a good show! Luca: What’s your favorite thing to do when you aren’t writing/playing music? TS: I love to play tennis. I’ve been playing for two years. I also love being on the student council at my high school. My favorite parts about it are the leadership aspects and meeting a lot of awesome people. Luca: Do you ever get nervous when you perform? What do you do about it? TS: I definitely, definitely get nervous! To calm myself down, I think about the message that I want to get across. I make it less about me and more about the music. Luca: When did you start writing about music? TS: I started writing songs in a little journal when I was about eight. They were actually pretty horrible at first. Once I got a guitar I became more serious about songwriting, and felt more comfortable sharing them with my parents, then eventually, anyone who would listen. Luca: Who are your music influences? TS: Sea of Bees. Her writing style is what I have in the back of my head when I’m writing. Ingrid Michaelson is also a big influence because I love her style and lyrics. She has unique vocals. I also look up to Regina Spektor’s uniqueness and the unorthodox way she makes music. Luca: What are the top two topics you tend to write about most? TS: I think that would have to be insecurities first. We all have them, and that’s OK. Since I’m a teenager, I’m still figuring life out. So I write about that a lot too. Sometimes I write songs to help me make sense of situations. Luca: What are the five things you can’t live without? TS: I for sure can’t live without my journal! It keeps me sane. If I don’t write things out, I go crazy. Of course my guitar and music in general. It helps me to stay focused. My top two would be my family and my religion. Luca: What’s your motto or the advice you live by? TS: I think it’s really important to treat people with kindness. Everybody. Luca: What is your favorite song to belt out in the car? TS: Beautiful Soul, by Jesse McCartney from A Cinderella Story. Luca: Ten years from now you will be…. TS: I want to have a body of music that I’m proud of. If the opportunity came to be a part of a big recording label, which still gave me my independence, I’d be interested. I don’t want to change who I am. I want to have a hot husband by then. Family is important to me. I don’t see myself in any other career besides music. If I could find a balance between being a mom and pursuing music, I’d be so happy! Luca: When and why did you start playing the guitar? TS: I started to play the guitar when I was 12. I also wanted to play the guitar because my mom is super musical. She plays all kinds of musical instruments, and that’s the only instrument I was interested in that she couldn’t play! I looked up three cords on the internet and looked up some Taylor Swift songs. Then I was hooked. Luca: Which instruments do you play? TS: Guitar, piano, and ukulele. Luca: What do you do if you make a mistake during a performance? TS: You have to just keep going. For me, it’s usually the words that I mess up or forget. I try to quickly draw myself back into the music and refocus on what I’m singing about. Luca: How often do you practice your music? Luca: Do you want to go to college? TS: Yeah, I really want to go to college, I just don’t know where yet. Luca: If you could go back and talk to your 12-year-old self, what would you say? TS: I would tell myself that it’s totally OK that you don’t have things figured out. It’s OK you don’t know who you are. Be OK with that. Work towards doing things to get you to be the person you want to be. I’d say to myself to be comfortable with where I’m at, and to get involved in good things. I wish I could go back to Jr. High and tell myself that cool kids aren’t that cool just because they have the right clothes. Everyone has the capacity to be great! Clothes don’t make you. Now is the time to start trying out sports, hobbies, art, music, and keep going even though things may be hard at first, you may actually end up loving it! Luca: How do you think music changes your life? TS: Relating to a song can totally change your perspective. The impact of having a song you can relate to can help you through anything. Luca: Why do you want to get your music out there? TS: I want to make songs that make people feel happy. I want to write songs for a broad range of emotions for people to listen to and relate with. I’d love to help some teenage girl somewhere though a hard time, and through good times too! The music industry is jam-packed with bands trying to prove they’re different and one of a kind. The problem, most aren’t. Once in awhile, there’s a standout. A group that has something different. Something you don’t see every day. Just Seconds Apart is a unique band consisting of three members, Ari (guitar/lead vocals), Alex (keyboard/bass/vocals), and Sela (drums/vocals). When we first noticed JSA, we were drawn in because of Sela, the drummer. Who doesn’t love a girl drummer? Their uniqueness doesn’t stop there. Ari, Alex, and Sela are also 16-year-old triplets. Yep, they were born just seconds apart on September 6th, 1999. We had the chance to meet up with them in their Scottsdale, Arizona studio, for a private showcase, interview, and photo shoot. Their sound is an energetic mix of pop, with some rock thrown in for flavor. In fact, our whole crew had a hard time standing still while they performed for us. It all started when their mom Shelli, took the triplets at 18 months old to mommy and me music classes, then piano lessons when they were only three. On their 8th birthday, their grandmother took them to a music store called Candyman. She told them to each pick out a musical instrument, and they stuck with it. You’ll find them most days in the studio perfecting their sound. A typical day consists of 3 hours of practice in the studio, 2 hours individual practice, writing together, and of course schoolwork. For fun, you’ll find them playing pretty much any sport. Sela, Alex, and Ari are all extraordinarily competitive, whether it’s shooting hoops, baseball, ping pong, or even football. “It can get really intense,” says Sela. She’s not the type to sit around on the sidelines either. You can find her playing football as the quarterback. We knew we liked her! With all good things, there always seems to be some adversity. Two years ago JSA was looking for a new song. Their now former manager presented them with a song called Unbelievable. They loved it. It was perfect. They went ahead and recorded it and also produced a music video. Everything seemed like it was going perfectly. Until someone made a comment on their social media accusing JSA of plagiarism. In 2011, Producer Denzil Remedios (iDR) co-wrote the song Unbelievable. He then licensed a Korean version of the song to Sony Music Entertainment. That song was released under the name, Walkin’, by the KPOP group, Super Junior. In 2014, iDR gave JSA the legal right to record and perform the English version of Unbelievable. JSA released the song in late 2014. Sony Music is aware of this and has confirmed there are no conflicting rights to the song. Some Super Junior fans didn’t seem to care. They posted negative comments on JSA’s social media accusing them of plagiarism. iDR even made a YouTube video explaining what happened. JSA followed that lead with making their own video. Sela, Ari, and Alex continue to take the Unbelievable matter with Super Junior fans in stride. They took the high road, and they respect how loyal Super Junior fans are. JSA looks forward to the same, close relationship with their own fans. Ten years from now they picture themselves inspiring, uplifting and making people happy with their music. They feel strongly that they’re on the path they were meant to take. They know that everything happens for a reason and that there are no accidents, and when one door closes, another door opens. Sela, Ari, and Alex are working tirelessly to make their dreams come true. Just Seconds Apart is moving forward. We invite you to check them out. You won’t be disappointed.